Looking for a perfect shading element for your windows? You can choose the Roman blinds. 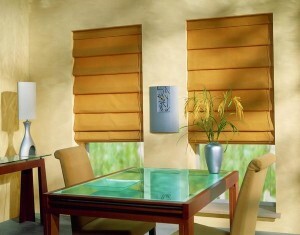 These are a special type of fabric blinds, on which the fabric is divided horizontally into equal strips by a framework. There are loops sewn on each strip through which woven string is threaded; the string is used for controlling the blinds. What Makes The Roman Blinds Different From Other Types Of Blinds? During the production of Roman blinds, strong emphasis is put on the selection of high quality materials and a perfect workmanship. High quality of implementation is characteristic also for the Roman blinds of large sizes. Roman blinds are suitable both in a classical and modern interior. They can be recommended not only into a living room, where they will amaze your visitors with their elegant appearance, but also into a kitchen, where you will appreciate their functionality. 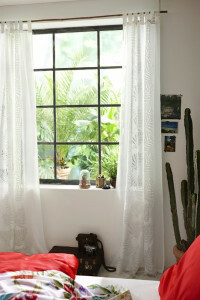 Roman blinds can be installed in vertical windows as well as in windows of atypical shapes. Horizontal folds are typical for the Roman blinds. The surface of the blind is divided into several horizontal stripes that are equally wide. When you pull the blind up, it remains folded in the upper part of the window. By selecting a suitable pattern and colour combinations, it is possible to adapt the Roman blinds to the smallest details of your interior. The fabrics are high quality ones, with excellent colour and shape fastness. 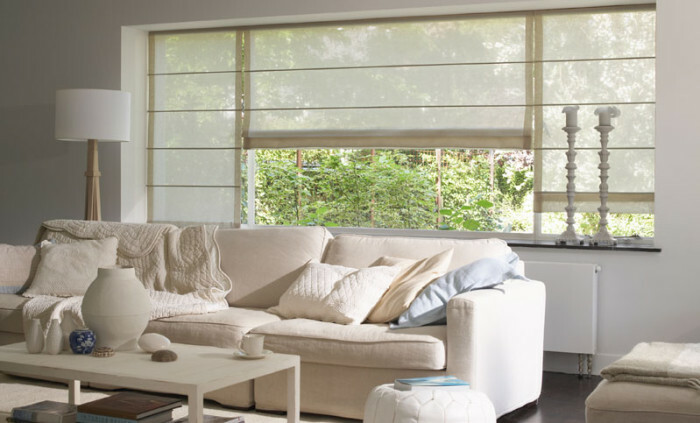 The main advantage of Roman blinds is their easy maintenance. You can remove and wash the fabric very easily, or you can replace it with another fabric with a different design. “We believe that the Roman blinds will convince you that beauty is in simplicity,” the producer says.